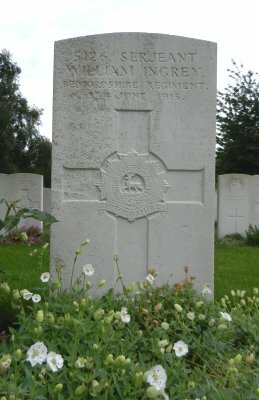 Sergeant 5126 William Ingrey, Bedfordshire Regiment. Born: c1877 in Wimpole, Cambridgeshire. Enlisted: c1895 Royston, Hertfordshire (as career solidier). Died: Saturday 5 June 1915, aged 38. How died: [injuries or illness while] serving in Felixstowe. William Ingrey was awarded the"Long Service and Good Conduct Medal" given to Regular Force non-commissioned officers and men who had completed eighteen years of irreproachable service. This indicates that William Ingrey had been an enlisted soldier since before 1897. His Regiment served in India and Ireland during that time. In the 1911 Census, William Ingrey was recorded as living in the Maida Barracks, Stanhope Lines, Aldershot. William was shown as being in the Infantry (1st Bedfordshire Regiment) and listed as married. The 3rd (Reserve) Battalion was formed August 1914 in Bedford. Within a few days of the declaration of war it moved to Felixstowe for duty with the Harwich Garrison. A training unit, it remained in the UK throughout the war. William was the son of Edward and Mary Anne [Theobalds] Ingrey [who died in 1884 when William was 7] who lived in the French House on Ermine Way, north of Arrington. In the 1891 Census, 14-year-old William was an Agricultural Labourer. 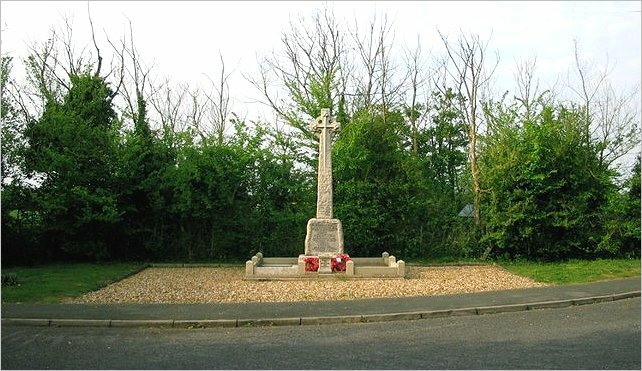 Cemetery: Felixstowe New Cemetery, Suffolk, United Kingdom. Death Can Never Take Away"
There are 64 Commonwealth burials of the 1914-18 war, including 1 unidentified Royal Navy sailor who was buried on 26th March 1917, in B. 71. 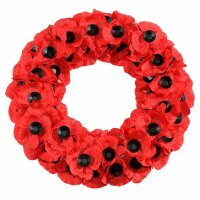 There are a further 44 burials of the 1939-45 war including 9 unidentified seamen of the Merchant Navy. There are also 8 foreign national war burials including 1 unidentified German airman, and 3 non-war service burials. William Ingrey for this page.